Nutter is pleased to share with its clients and friends the Boston Bar Association announcement of "An Employment Law Guide: A Practical Guide to Understanding Massachusetts Employment Law." Please click here, for an electronic copy of the 126-page Guide. 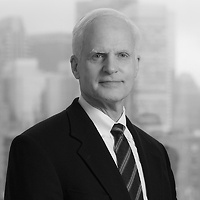 David C. Henderson, a partner in the firm’s Labor, Employment, and Benefits practice group, as well as a member of the Steering Committee of the BBA's Labor & Employment Law Section, co-chaired the committee of management and employee lawyers that assembled this information and wrote the Guide. As the cover of the Guide indicates, David also served as one of the Guide's primary authors. Employers may find particularly useful the Guide's Exhibit O, because it provides electronic links to various websites containing additional employment law information.